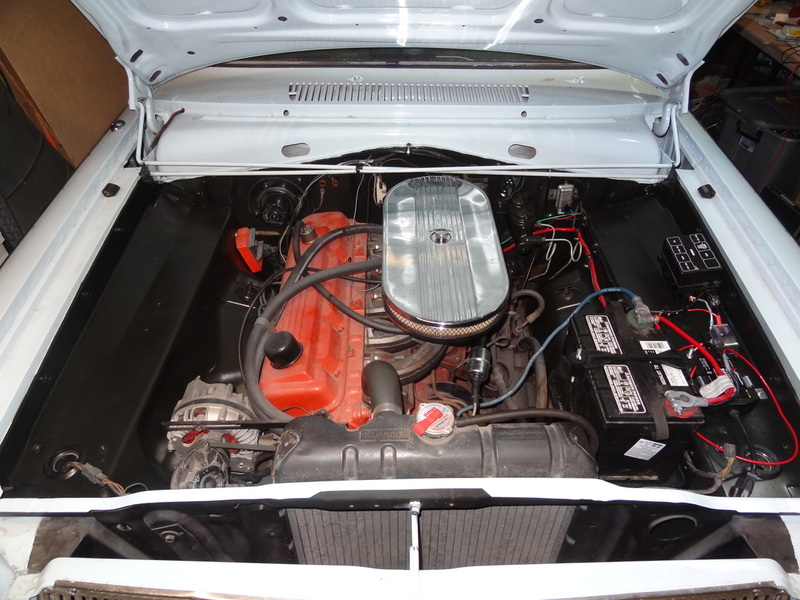 With the engine electrical systems taken care of I felt it was time to address the under-hood paint. The engine bay was the one area of the car we didn't have painted when we had the body painted, this was because we didn't want to pull the engine and transmission. So we just masked the entire engine bay and as a result (not surprinsingly) is that the engine bay was left looking a bit...rough. 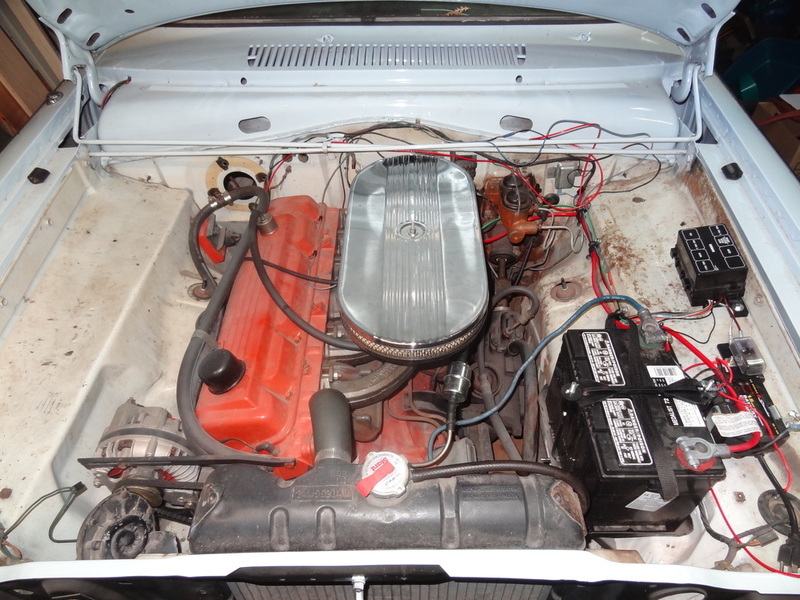 Now, this is where MOPAR purists will cringe but I decided to paint the engine bay black (if this was a factory restoration job, the engine bay color would be the same as the body). I felt black would be a nice contrast for the engine bay and would make the engine stand out more, plus black would be easy to touch up if it got scratched, so I got to work. I just used some off the shelf Rust-Oleum automotive semi-flat black spray paint and diligent masking. Nothing fancy but I would say the result was a vast improvement. Here is the end result with all the wire routing and cable management done. I wrapped all the new wire runs for the electric fuel pump in black wire wrap and ran them alongside the original firewall engine harness/wire-loom. I think it is a vast improvement and looks very tidy.